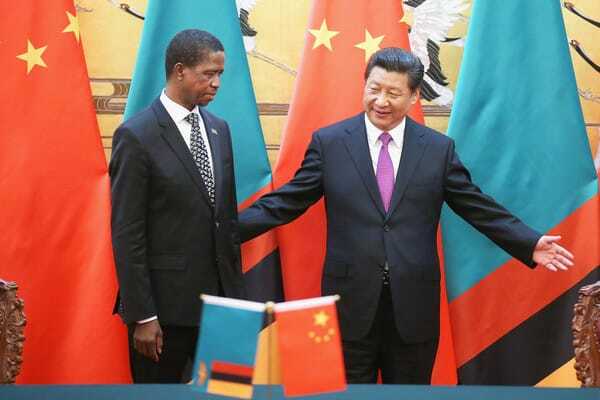 USA president Donald Trump’s National Security Advisor John R. Bolton says China has suffocated Zamhia with debt and is about to take over Zesco as payment for huge debt. He said China’s investment ventures are riddled with corruption, and do not meet the same environmental or ethical standards as U.S. developmental programs. ‘Such predatory actions are sub-components of broader Chinese strategic initiatives, including “One Belt, One Road”—a plan to develop a series of trade routes leading to and from China with the ultimate goal of advancing Chinese global dominance,’ he said. Mr Bolton said that ‘In Africa, we are already seeing the disturbing effects of China’s quest to obtain more political, economic, and military power. Similarly, from 2014 to 2016, Djibouti’s external public debt-to-GDP ratio ballooned from fifty percent to eighty-five percent, with most of that debt owed to China. Mr Bolton says Countries that receive U.S. assistance must invest in health and education, encourage accountable and transparent governance, support fiscal transparency, and promote the rule of law.